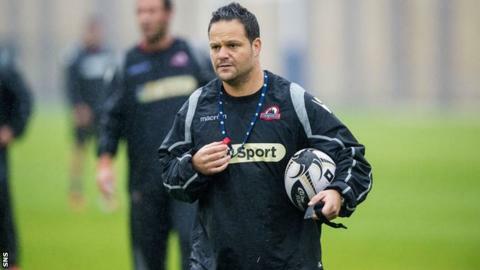 Edinburgh have confirmed that coach Omar Mouneimne has left the club to return to South Africa, due to "personal" reasons. Mouneimne arrived at the Murrayfield outfit following the appointment of Alan Solomons as head coach in 2013. "We are sorry that Omar has had to return to South Africa to deal with some personal issues," said Solomons. "He has been an important part of our coaching team and laid strong foundations that we will build on." Edinburgh would make no further comment on the issue and it is unclear whether they have started searching for a replacement for Mouneimne. Former Italy coach Mouneimne also worked with Solomons at Southern Kings in South Africa.